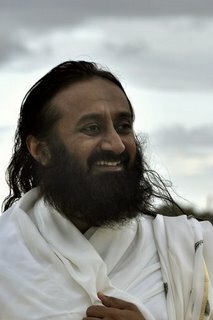 Sri Sri Ravi Shankar - Celebrating Life with Silence: What Is The Solution For Ego Clashes? What Is The Solution For Ego Clashes? What is the solution to an ego clash? When egos are there, they do clash. There is no way out. When there is wisdom, you will rise above any small-minded attitude, bickering and judgements. You judge people all the time, and if you turn back and look at your own judgements, I tell you, 80 to 90% of the time, they will be wrong. Sometimes people send some messages and before the other person gets it, they retract it. How many of you have done that? You type a message to send to someone, and something tells you that this is not okay and so you retract it. How many of you do this? This shows how poor your judgements are. We create a huge cloud around what is not even close to truth, and it has happened to you so many times in the past. You hold grudges against people, you have concepts about people and you get yourself trapped into it. You must wake up from this. You know, if your time is good, your worst enemy behaves like a friend, and if your times are bad, your closest friend behaves like an enemy. So, your luck or time is totally responsible for your friends and enemies. Your karma is responsible for what you go through. So, you should take your mind away from judging others and bring it to yourself. Often people who complain that others have a big ego, have a big ego themselves. Often those who complain others are rude, you will see somewhere inside, they are rude. You should reflect on yourself. See, you can’t correct others but others give you a chance to correct yourself. Is it necessary to fast every week? We fast not to please the Divine, but to cleanse our body. You overwork your liver, stomach and pancreas so much. If there was a labor court for the body, all these organs would have complained against you in that court. We don’t allow them to rest at all. We drink and eat the whole day until night, and we overwork our system. They do need some rest and for that you need to fast. Just think of your own classrooms. In which period do you feel very alert? First few sessions, or just before lunch. If you have had a heavy breakfast the first session can be boring. And when do you feel heavy and dull? Right after lunch! When I was in college, I also used to sit and sleep because I had had some nice food, and that too with yogurt. At that time, classes are like a burden. Nobody taught us in those days that food has an impact on our mind. Nobody taught us not to eat these particular things during the day. difficult. So, our fasting has an impact on our alertness, and our mind which is why in all the religions of the world, be it Islam, Christianity, Hinduism or Jainism, fasting has been followed. But it is only for the body not to please God. When I read the books and listen to knowledge, I really want to implement it. But when the time comes to implement the knowledge, I am unable to do it. What should I do? Knowledge gets implemented automatically; it is spontaneous. It is there at the back of the mind. What is it that stops you from implementing knowledge is small temptations. Small temptations go with three things: Love, greed and fear. Suppose you are drinking alcohol or doing something that is not right, then the fear of disease, or fear of losing your reputation, or fear of losing a loved one can stop you. Fear as well as procrastination can stop you. The second thing that can stop you is greed. If someone tells you, “If you drink alcohol, you will lose 10 million”. Or if you are a smoker and someone tells you, “If you don’t smoke for 30 days, you will get a lottery for 1 crore rupees”, I tell you, you will not touch a cigarette. You will say, instead of 30 days, let me make it 33 days just to be on safe side. The third this is love. If you promise a loved one, you will keep it up. Gurudev, my best friend is always angry and irritated with me. What should I do so that she is always happy with me? Simply drop the ‘always’. Firstly, if your best friend is always angry, you will not even notice that she is angry. And this ‘always’, is a big issue. Accept her the way she is! And know that you don’t have to try to please everyone. If they are upset, accept that, be centered and strong and keep moving ahead. 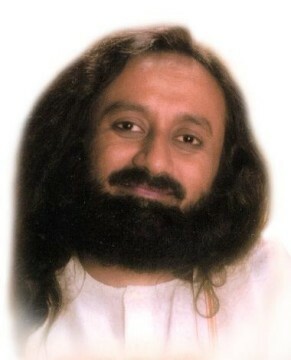 Gurudev, I have not been doing my kriya for some time now and I feel I am taking you for granted. Please guide me. I am scared as I can’t afford to lose your love. You know my love is unconditional, but I will tell you something. If you at least sit and meditate for some time, you are not doing it for me, you are doing it for your own good. Whatever you can do, you do. Take out a little bit of time for yourself. Tie up your sadhana with your daily routine. Every day you have food, you don’t skip or miss any meals, right? Like that, do your pranayama and meditation. Even if you can’t do your pranayama, just sit and meditate. Have you noticed how you feel when you meditate and when you don’t meditate? There is so much heaviness when you don’t meditate, have you felt this? How to express now when words itself are misinterpreted and I am not understood? Don’t bother. If people misinterpret, it is their problem. You meditate and you improve your intuitive ability, then you will say the right words at the right time. 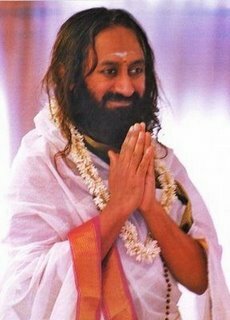 Gurudev, I would like to be amicable with everyone but there are some people who always treat me like their enemy. Let them behave however they wish. Nothing in this world stays permanently anyway. People’s opinions keep changing all the time, and no emotions stays with the same intensity. Everything changes over a period of time. Let them be as they are. You have seven billion people on this planet. If someone is holding a grudge against you, just let them be. Don’t rent out your upper chamber (referring to the mind) to anybody. Normally you rent it out to whoever you like the least, and they then start living there. Are Your Expectations Bringing You Joy?